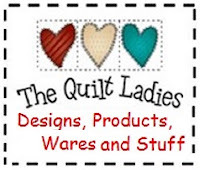 The Quilt Ladies Book Collection: Pillow Quilt Pattern for YOU ! Pillow Quilt Pattern for YOU ! I have the pillows hand quilted. I don't like taking a sewing machine to my quilt group so I'm getting a lot of quilting time and LOVING it. ! Machine pieced and I hand quilted. Centers are cut 3 1/2" x 3 1/2"
Triangles are cut 1 7/8" x 1 7/8"
Finished block is 9" x 9"
Squares are cut 1 1/2" x 1 1/2"
Center is cut 2 1/2" x 2 1/2"
Cut strips cut 2 1/2" x 3 1/2"
Finished size 10" x 10"
To use a Quilt or NOT ? PLEASE Use the QUILT !